The whale watching season in Sydney is between May and November each year but some times are better than others to increase your chances of seeing whales. 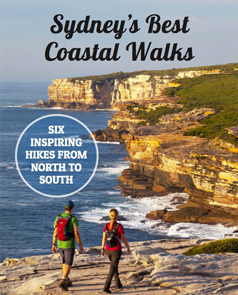 We’ve been walking Sydney’s coastline for years, so here are our tips on how to take advantage of nature to get the best out of your whale watching time. Watch the video below or scroll down for the full transcript. Tips for what to take, and more! Scroll down for the full transcript if you'd rather read our tips for the whale watching season. Download the Wild About Whales app so you can follow the whales' progress during the migration, and report any you see. Best Time for Whale Watching? Ian: In Sydney, the whale migration goes between May and November. But the absolute best time to see them is late June and early July – probably the last week of June and the first week of July, around about the winter solstice. What time of day is the best time to see them? Well they’re always swimming past night and day, but the best time is in the mornings; sometimes their blow or their spout is back lit which makes them easy to see, or late morning / early afternoon when the sun’s a bit higher in the sky and there's less glare. The Whales are Going Where? Tara: During May, June and July, the whales are heading north from Antarctica, and they’re heading to warmer waters in tropical north Queensland. That's so during the month of approximately August they're sticking around the breeding grounds of far north Queensland. September, October and November, they're heading south again back to Antarctica. When they do head north, they're closer to shore than when they're coming south and that's because there's the eastern Australia current that runs like an expressway heading southbound. They definitely don't want that on their way up, but when they're coming back they're trying to get that current so they're a few more kilometres offshore. That’s except for the mums and bubs who sometimes are a little bit closer to shore if they're concerned about any predators in that eastern Australia current. How to Spot a Whale? Ian: So the easiest way to spot a whale is to look for its spout or its vertical spray, and you’ll see that silhouetted against the water or the sky. Another way to see them is if you see a big splash, then you probably just missed a breach. Or on a day like today when there's no white caps, pretty much any disturbance in the water that's not a boat is going to be a whale. So just look for the white caps and choose your day. If it’s a really windy day they're much harder to spot but on a day like today, you’ll see them coming for miles. Where to See Whales in Sydney? Ian: The best place in Sydney to see whales are the places that are nice and high, so they've got a good elevation and they stick out east into the ocean. So just have a look on Google maps and find a headland that has height and it projects out east into the ocean. That's a really good start. If it also has deep water, you'll see a really good chance of a whale breaching because the whale needs lots, gain lots of momentum to get up and breach out of the water. So they need depth of water to do that. But even if the water depth is not there, you'll still see them lob tailing or fin slapping which is pretty cool. Now we've put together a video and a blog about the six best whale watching spots in Sydney and you can also go to the Wild About Whales app, and they track the whales all the way up the coast. And if you see one you can even put it on the app yourself. Ian: So when you go whale watching, take the obvious thing like a bottle of water. But take a blanket. You're going to be sitting along the coastline for as long as you've got really so you want to be comfortable. Also, take a lot of patience. They're wild animals so there are no guarantees with wild animals. If you want to take binoculars – you're going to see more whales without binoculars – but when you do see them you can zoom in on them and get a closer look. So I hope that's helped. Happy whale watching. Filed under Tips and Tricks.